Unveiled at SIHH (Salon International Haute Horologerie) 2010, Geneva the Portuguese Yacht Club Chronograph is an elegant sports watch which also is a nautical precision instrument A reliable timepiece whose functionality is beyond reproach and in which every detail, however minor, has been optimized, the Portuguese Yacht Club Chronograph from IWC is water-resistant to 6 bar and is equipped with a screw-in crown and a crown protection. Its chronograph permits the recording of aggregate times of up to 12 hours on the common counter for the minutes and hours and can be reset to zero via the fly back function at any time while running, so that it is instantly ready to start measuring a new time. There are many ways of measuring longstop times. Yet none are as convenient and unambiguous as those provided by the analogue display of the 89360 calibre: these can be read like a normal time display. In addition, the movement with its integral chronograph is designed in such a way that the measurement of even long stop times does not lead to fluctuations in amplitude and associated inaccuracy. The signal red centre stopwatch hand in effect also plays a central role. Together with the supplementary flange for seconds and fractions of a second, it allows extremely accurate short-interval timing. In terms of functionality, the dial appeals with its clear railway track-style chapter ring and – for the first time in the Portuguese family – with luminescent indices and hands. It also incorporates date and small seconds displays. In spite of its sporting characteristics, the new Portuguese Yacht Club Chronograph represents a Portuguese that is true to type with its consummately neat dial and Arabic numerals. 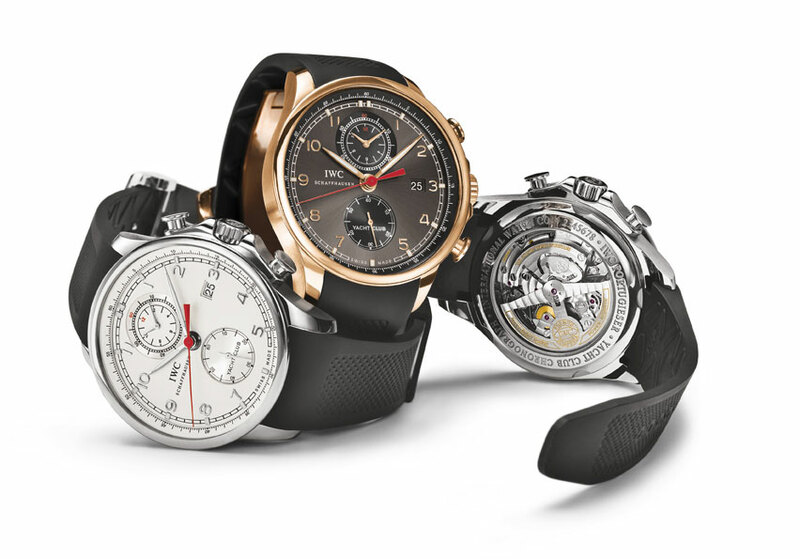 The Portuguese Yacht Club Chronograph is available in three variants: in steel with a silver-plated dial, rhodium-plated luminescent hands and appliqués. 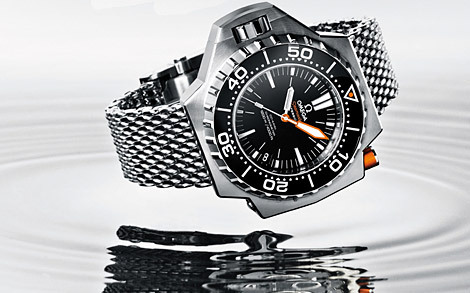 Again in steel with a black dial, silver-plated flange and rhodium- plated hands and appliqués, also luminescent. 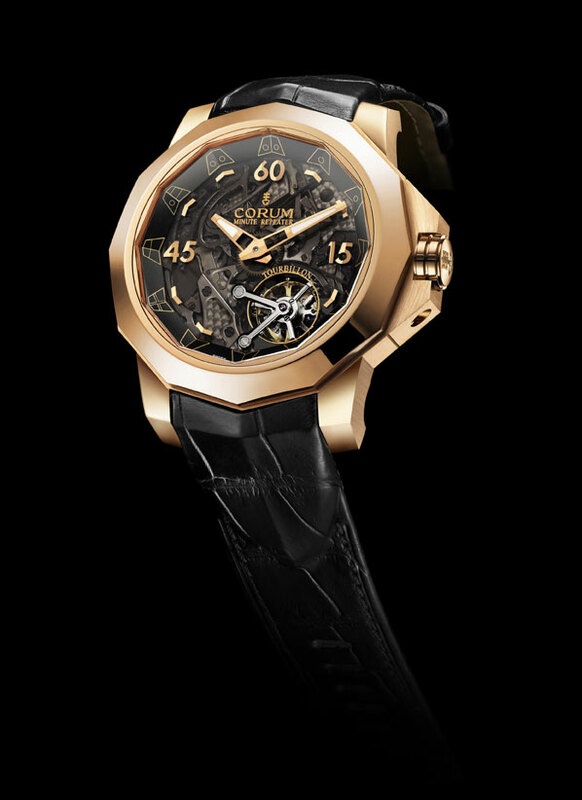 The most refined model in 18 carat red gold has an slate-coloured dial with a sun pattern ground finish, subtly contrasted by the black small seconds display circle and the black ring for the aggregate minutes of the chronograph. 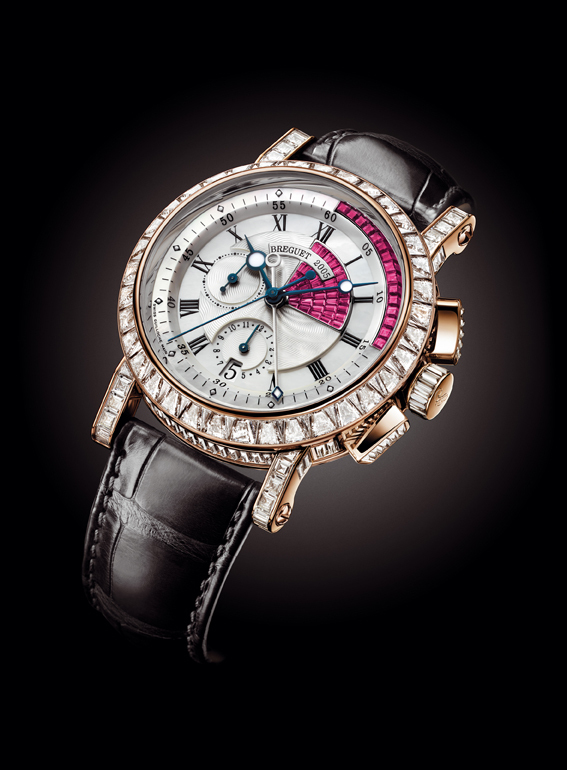 Gold-plated hands and solid red gold appliqués distinguish this model additionally. All three variants are worn on a black rubber strap with a folding clasp.